The Council of Anglican Provinces in Africa (CAPA) declares that the actions taken by current Presiding Bishop Katharine Jefferts Schori and a minority of the Episcopal House of Bishops to depose Bishop Bob Duncan is a “totalitarian abuse of power” and will not be recognized by the Anglican provinces of Africa. 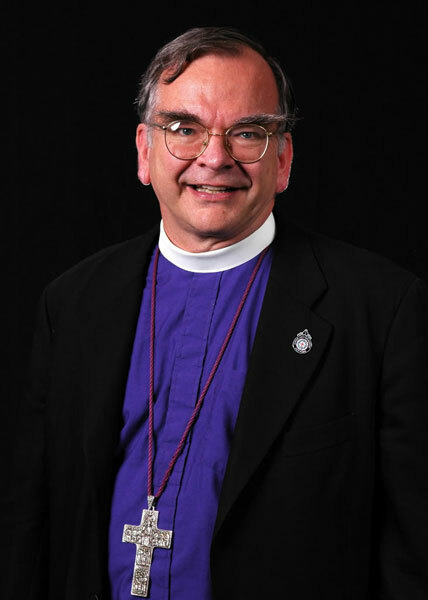 At a special session of the US House of Bishops on Sept 18 called to discuss the Lambeth Conference, the American bishops voted 87 to 35, with four abstentions to defrock Bishop Duncan, removing him from the ordained ministry for propounding the view that a diocese may withdraw from the Episcopal Church. The bishops had worked “carefully and prayerfully” and their “conversation was holy” US Presiding Bishop Katharine Jefferts Schori said. However, Bishop Duncan’s “actions over recent months and years constitute ‘abandonment of ‘the communion of this church” and that he should be deposed,” she said. The American action was a source of “deep regret and profound sadness” Archbishop Ernest said, and was seen in Africa as being politically motivated. “We are sad because you are obviously viewed as a threat to the survival of a dominant order, and the actions are more appropriate to totalitarian governments than to an Episcopal leadership professing our Lord Jesus Christ,” he said. The African church had been “hopeful that after Lambeth, [the Episcopal Church] would at least exercise legal restraint and also sensitivity to the indignation expressed by the rest of the communion at their continued resistance to pursue an agenda which are not conformed to the biblical teachings we all vowed to uphold,” Archbishop Ernest said. This entry was posted in Anglican News, Episcopal News, http://schemas.google.com/blogger/2008/kind#post, Presiding Bishop. Bookmark the permalink. No surprise in this response and that is very good news for all except TEc. The diocese headed by Bishop Duncan, which claims to have seceded from the Episcopal Church and to have become affiliated the the Southern Cone, still goes by the name “Episcopal Diocese of Pittsburgh.”What is the rationale for the use of this name? James, could it not be that the diocese first incorporated under that name and is still “in the same business,” as it were, as before. Else, it could be a reflection, intentional or not, on the entity from which the Diocese is disassociating? My dictionary relates “episcopal” with bishops. Is the Protestant Episcopal Church of the USA really “<>The<> episcopal church?” That would sure be the morning news to a <>few <>churches, from Orthodox to Wesleyan and Pentecostal! (And I guess that wasn’t BabyBlue visiting < HREF="http://sanctifusion.blogspot.com" REL="nofollow">SanctiFusion.<> Oh, well! BB, at the risk of coming over like one straight from the peanut gallery, well said!